Room size 24 square meter include terrace, bed and sitting room and bath room. Private bath with shower and tub, hot and cold water, satellite TV, IDD telephone, refrigerator, hair dryer, mineral water. 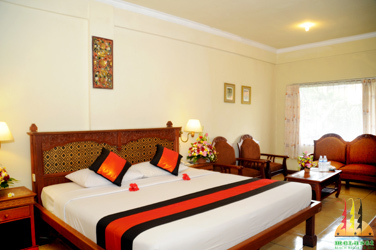 Rooms located at pool's side with kingbed or 2 single beds, cater for 2 adults and 1 child.